There are some people who get themselves in the mood for the spooky side of fall by watching movies like The Rocky Horror Picture Show and It’s the Great Pumpkin, Charlie Brown. For those of us with hearts that are truly as black as the deepest pits of hell, there is only one film that will do: Hocus Pocus. 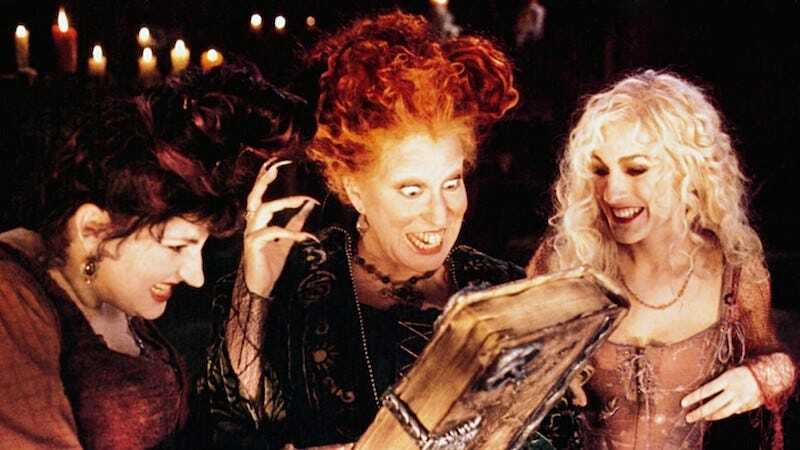 The upcoming Hocus Pocus will be written by The Royals alum Scarlett Lacey with David Kirschner (who produced the original film) attached as executive director. Disney’s yet to announce when the movie will eventually air, but in the meantime I highly recommend finding out when and where the closest Hocus Pocus drag performance is to you and buying yourself a ticket.